Milre Systek Co., Ltd was established Feb, 1991 based on the adventurous spirit to be one of the best companies in the world in the field of Digital Door Lock product. We have been professionally manufacturing and exporting Digital Door Lock with high reputation by our clients due to competitive price, product quality and prompt after service. We strive for customer satisfaction with quality and reliability to use our product In order to established worldwide market, always do our best to developed our product and improved our service for the clients. We welcome you anytime to visit our website or contact us for more your understanding about Milre and make a good relationship both of us. 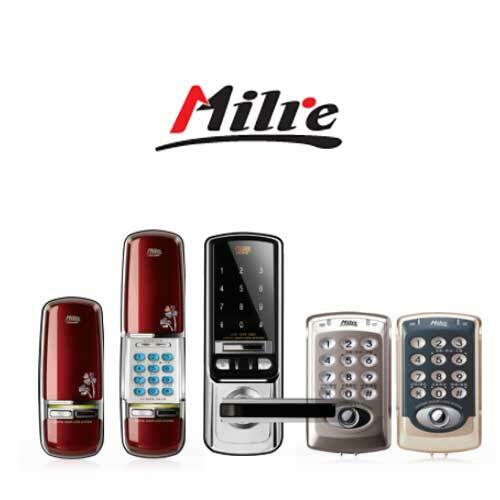 MILRE is Korean representative brand in digital door lock business and now we are recording top selling q’ty in domestic market. Growth motive of Milre Systek is superior quality and design, competitive supplying cost comparing to other competing companies. Already, we have been appreciated by dealers in international market as for this point. Our final goal is to be the top brand in this field, and to be helpful for development of human’s resident culture. Milre Systek will make an effort to the greatest satisfaction of customers and will achieve best brand value of “MILRE”.